The Peoples Democratic Party (PDP) and the All Progressives Congress (APC) in Ekiti State yesterday engaged in bickering over the non-payment of workers’ salaries in Osun and Ekiti States. Firing the first salvo, the PDP advised the Governor of Osun State, Mr. Rauf Aregbesola, to resign from his position as the governor, since he had been unable to pay workers’ salaries in the past seven months. The PDP, which spoke through its Publicity Secretary in Ekiti State, Jackson Adebayo, said the basic function of a government was to pay salaries of workers and by not doing that, the governor had no moral right to continue in office. 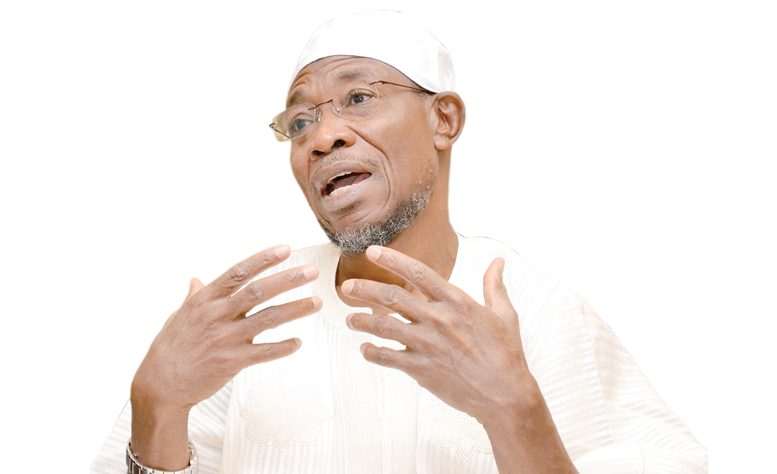 ‘’Aregbesola has admitted that the situation in Osun State is beyond his control. That is an admittance of failure. He has agreed that he lacks the capacity to lead the state and should not, therefore, hold the people of the state to ransom. “He should just tender his resignation letter to the state House of Assembly with a very strong worded apology to the people of Osun State for deliberately throwing them into this unpalatable situation because of greed and imported fraudulent policies which have drained the purse of the state. “Aregbesola of Osun is not different from former Governor Kayode Fayemi of Ekiti, both of them are products of the APC. We booted them out in Ekiti State, with the help of teachers, civil servants, okada riders and the masses because Ekiti people suffered a lot under the Fayemi-led administration to the extent that workers’ deductions were even stolen and its whereabouts unknown till today,” he said. In a related development, the Ekiti chapter of the APC has asked Governor Ayo Fayose, to stop deceiving state workers over failed promises to pay their salaries, saying endless workers verification exercise was a wicked tactic to secure workers’ cooperation.